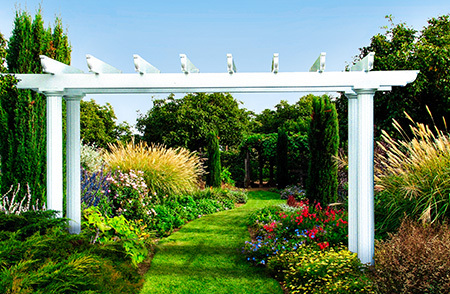 Pergolas can be the ideal product for Middletown, Delaware, homeowners who are looking to breathe new life into the outdoor areas around their homes. 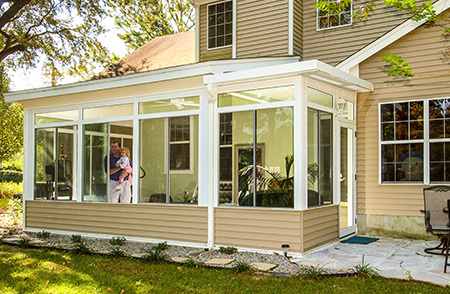 Not only do these products offer partial shade that allows homeowners to more comfortably spend time outside, but they also have aesthetic value and can even help to increase the value and curb appeal of your home. Strength – Our pergolas are made of extruded aluminum, which is much stronger than the materials other manufacturers use, and allows our structures to withstand everyday dents and dings without becoming damaged. Durability – Years of weather exposure won’t cause our pergolas to chip or peel, so you can sit back and enjoy your structure stress-free for years to come. Minimal maintenance requirements – Every TEMO pergola is coated with an electrostatic finish that helps to keep maintenance requirements virtually nonexistent. 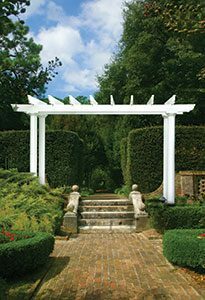 Customization – With three stunning column styles to choose from, your pergola is sure to meet your aesthetic preferences. Additionally, you can choose to have your pergola stand alone or be attached to your home, so you can place it exactly where you need it. Since 1988, SRA Home Products has been a trusted provider of pergolas and other outdoor living products. Rather than subcontractors, we’ll only send our in-house, factory-trained and -certified technicians to your home, so you can trust that every professional who shows up to work on your project has the knowledge and experience to complete your pergola installation perfectly. Contact SRA Home Products today for more information on the pergolas we install in and around the Middletown, DE, area. We are happy to answer any questions you may have as well as schedule a free consultation at your home to determine if this product is right for you.